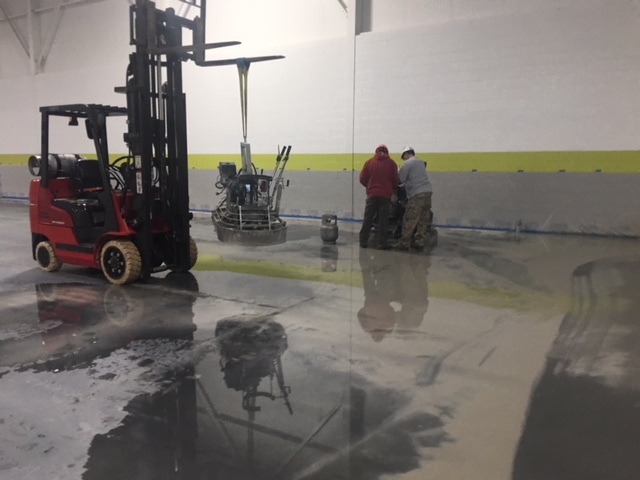 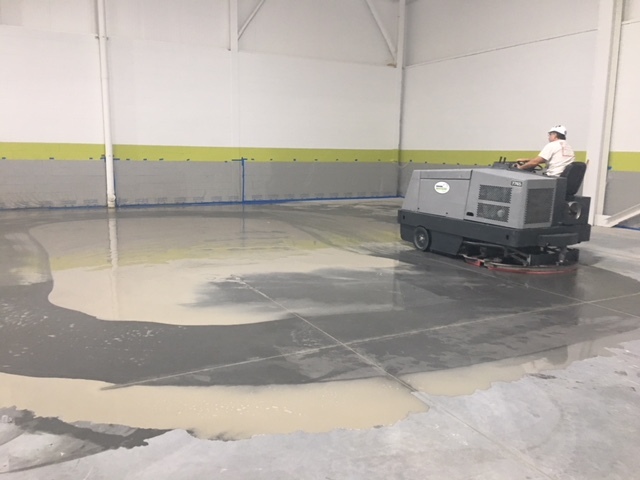 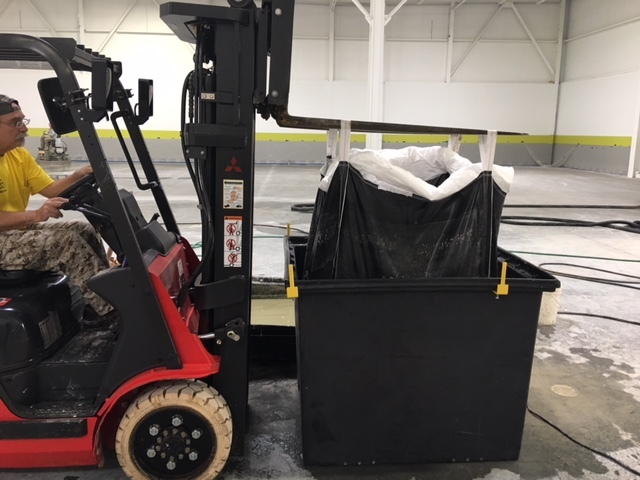 This project involved a 30,000 square-foot warehouse utilizing Runyon’s new MPS Magnetic Preload System, ride-on trowel polishing technology, with very high production rates. 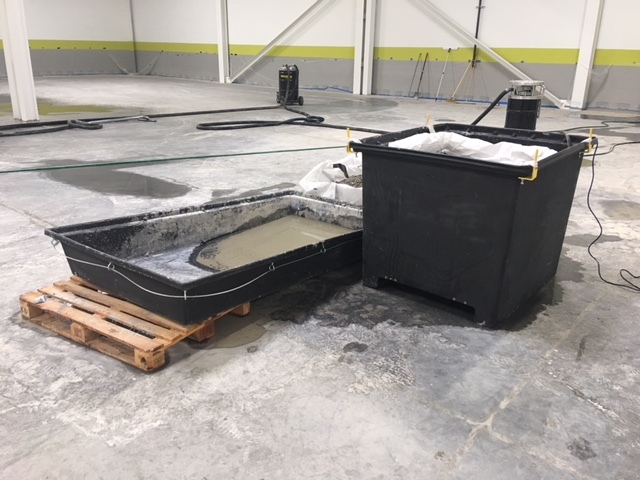 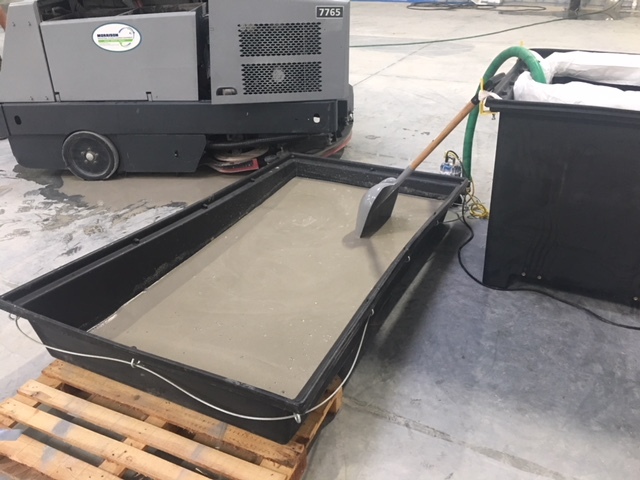 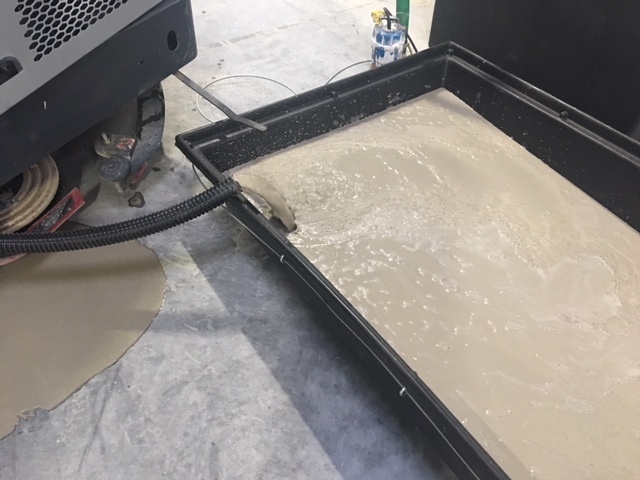 Slurry was collected with a floor scrubber and deposited into a low profile slurry containment tray for easy unloading. 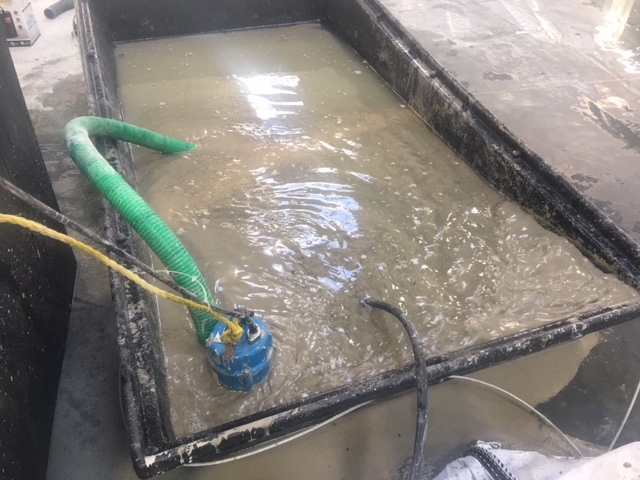 1 cup of SlurrySep was then added and mixed with a trash pump until the flocculant is activated. 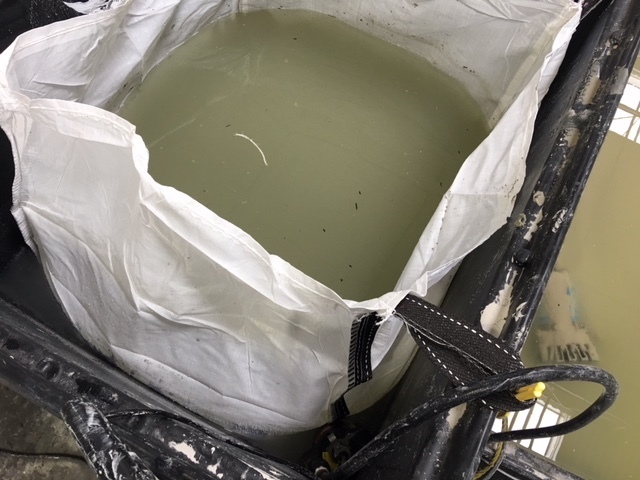 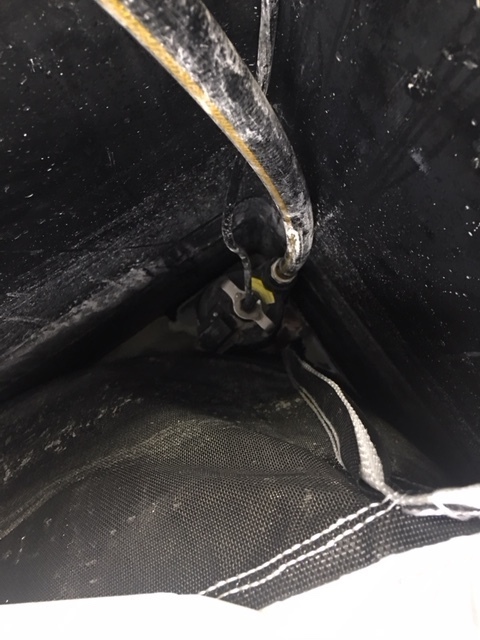 After the particle size was ready, it was then pumped into the big dog slurry bin with a dewatering filter bag mounted inside. 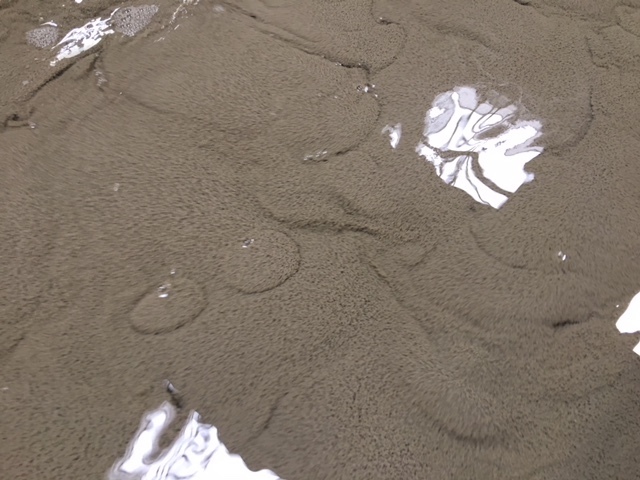 As the clean water passed through the filter, it was pumped from the outside of the bag back onto the floor for reuse. 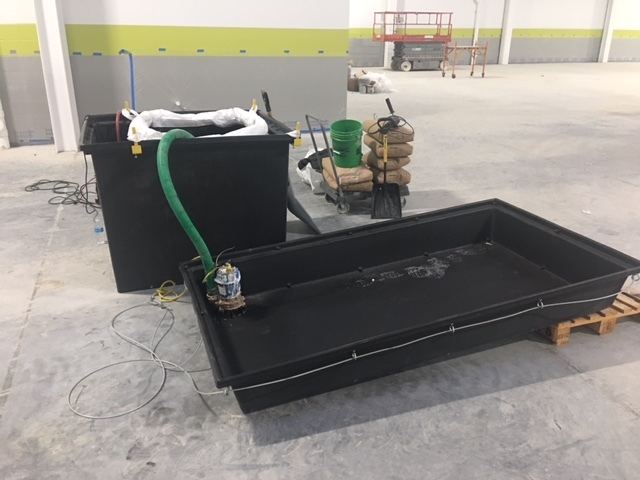 This significantly reduced the overall water usage on the project. 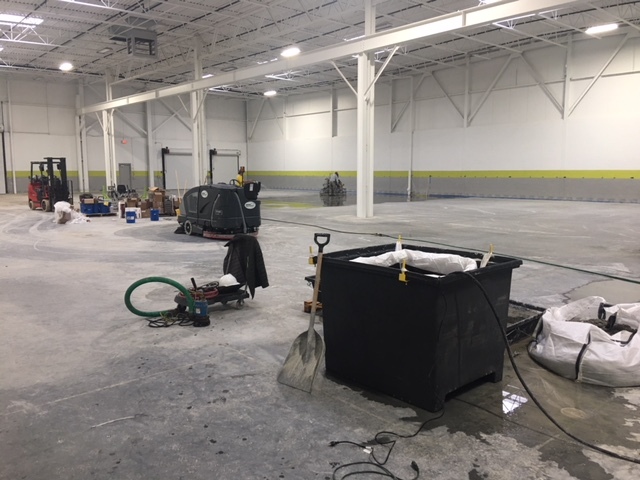 6000 square-feet used only 300 gallons of water. 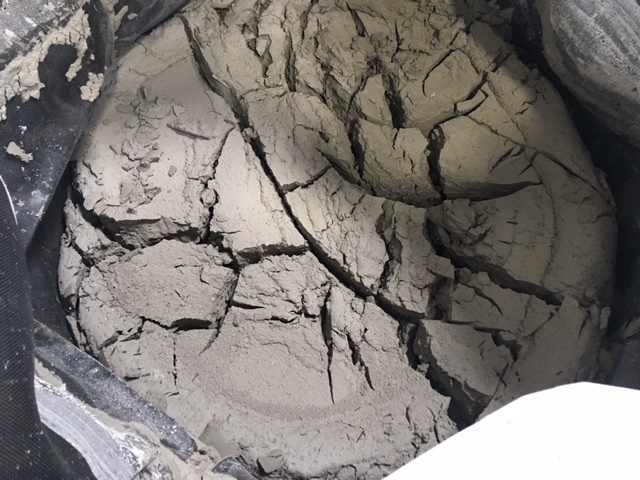 If preferred, the slurry can also go directly to solidification and disposal. 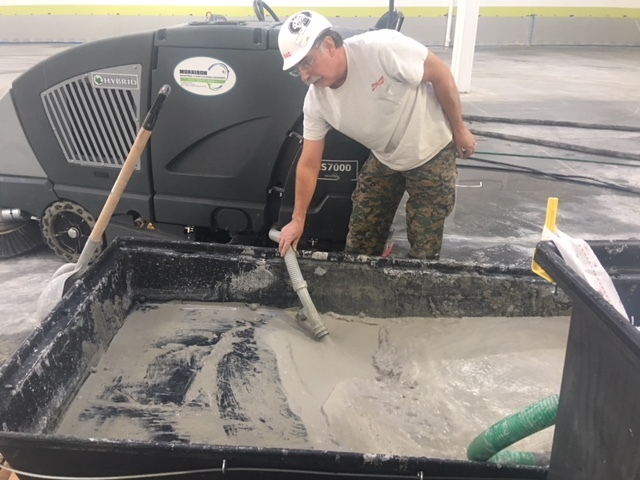 Slurry Solutions provides sustainable solutions for job site pollution. 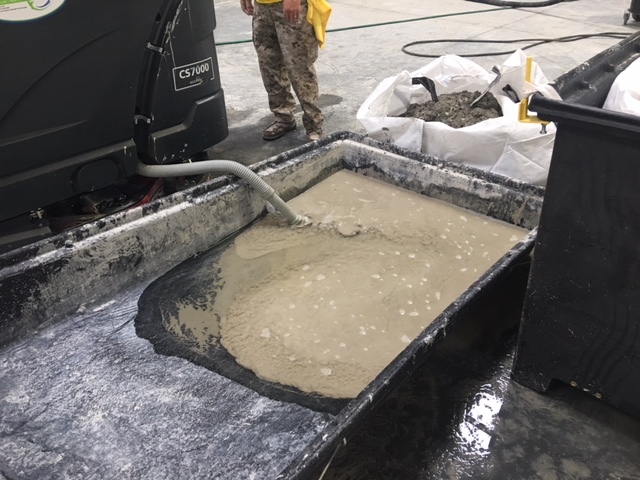 Slurry Solutions works hard to bring the concrete industry new ideas, solutions and technology to the age old problem of wastewater treatment and concrete silt management. 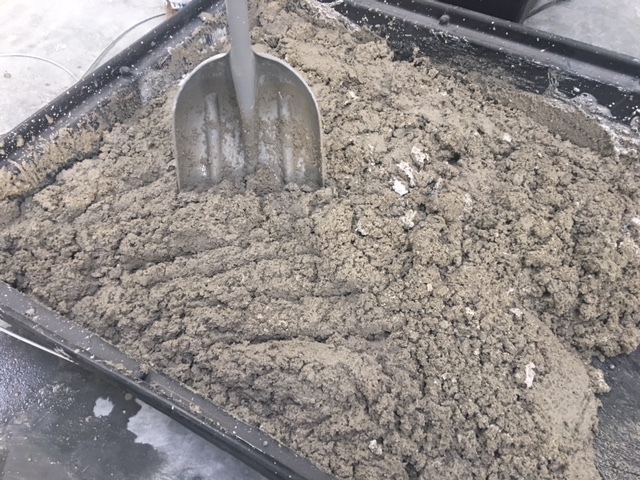 Slurry Solutions is the market leader for decades in wastewater treatment chemistry; it’s designed to protect the environment and contractors from EPA fines.